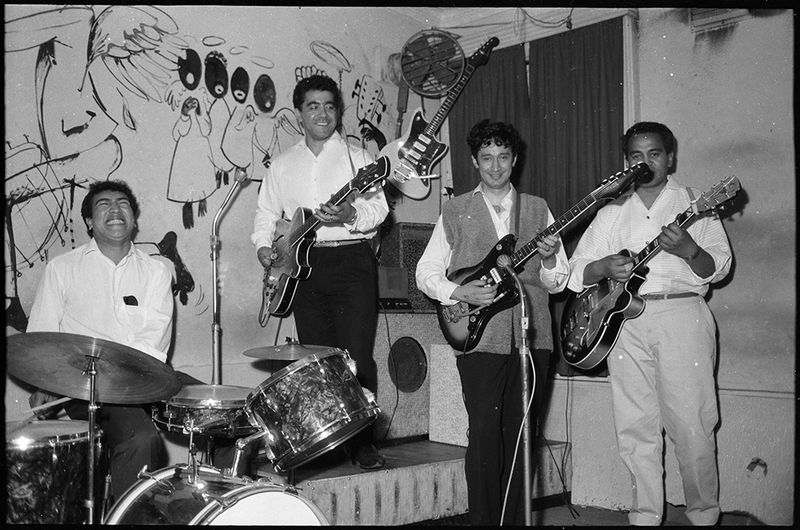 Can you help find Auckland’s 1960s music venues? Gareth Shute is one of the Auckland Library Heritage Trust research scholars for 2018. His project is an online map for the NZ music history website, www.audioculture.co.nz, of all the music venues that have existed in Auckland since the early 1900s. 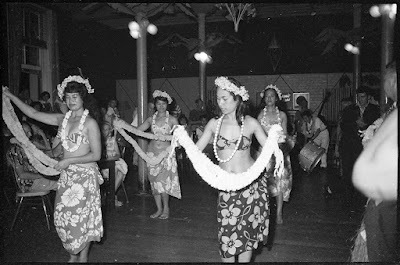 He hopes to find both information about and images of these venues through his time researching at Auckland Libraries. We would love some of our readers to help him locate venues and try to identify some images. Can anyone identify the locations and people shown in these images below? Unless noted the bands are also unknown, so please let us know if you spot anyone you recognise. Our wish in displaying these photographs is for the people in the images to be reunited with their family, extended family and other people known to them. Ref: Rykenberg collection. Quin Tikis playing at which location? 21 December 1961. Ref: Rykenberg collection. 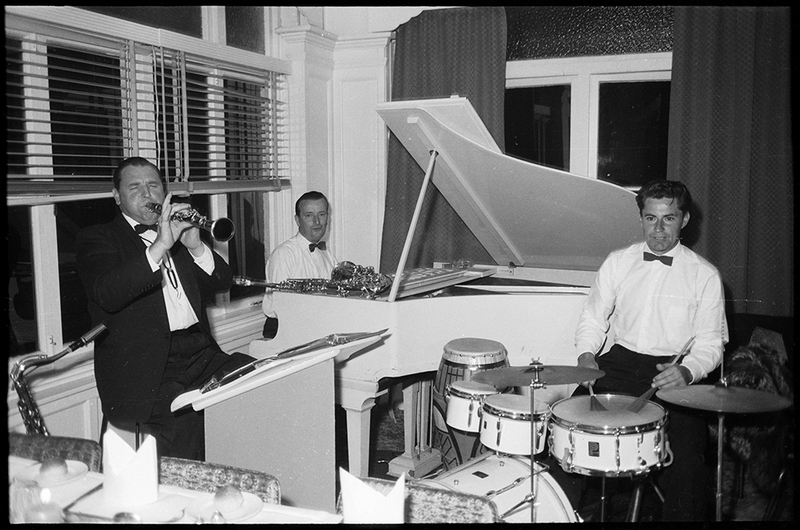 Reg Gould on clarinet, but playing with which other musicians and at which venue? Ref: Rykenberg Collection. Unidentified singer at unknown venue (possibly the Picasso Coffee Lounge). Shute is also looking for the location of venues from this era (and slightly earlier). So if you can answer any of the following questions then it would be a great (even if it’s a rough approximation - e.g., “On Karangahape Road near Pitt Street”). Where as Carlton Cabaret located - somewhere on Karangahape Road? Ghandhi Hall (circa 1958) - is this the same as the Mahatma Ghandi centre that is now on New North Rd? Metropole - somewhere on Upper Queen St? Was Bali Hai in the same location as Embers? Just tried to send an email to the address you listed but it bounced back. A small piece of info to share re: the location of the Gandhi Hall – it was on Victoria St and linked to the Gujarati School (see History, here: http://www.aiai.org.nz/gandhi-gruh-gujarti-school/). David Register Gould on clarinet Jack Robert's on piano. Somewhere in Otahuhu possibly the country club. David Hardy on drums. Dave still plays drums in his local brass band! 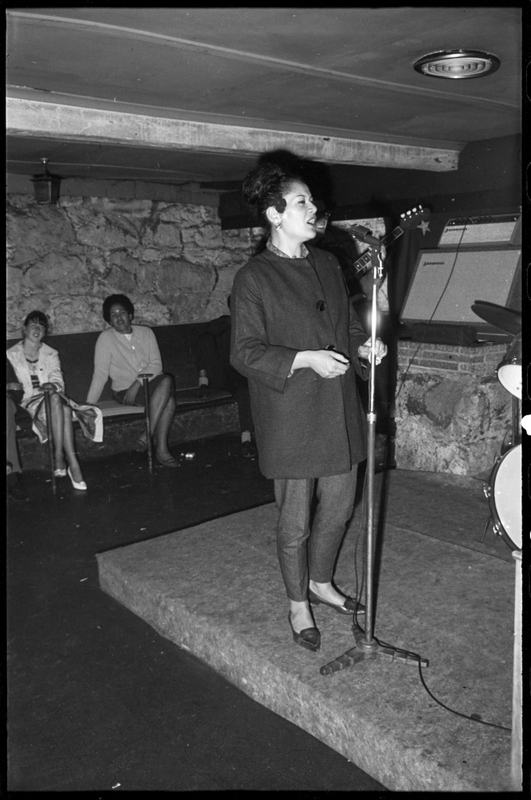 In Anna Hoffman's first book, on her time in Auckland Central before departing for Sydney, she discusses a number of venues that were used for music performance and dances at the time. These date from the early-mid 1950s. A little earlier than you're looking at but may still be relevant. The Metropole became the Peter Pan Cabaret, in the last block on the left at the top of Queen St, a few doors up from what was later Geddes Dental Renovations (492 Queen St, cnr City Rd). And of course 492 Queen Street became Real Groovy's City shop (after Mt Eden) - let's not forget Chris Knox's animated ad for it from the time. 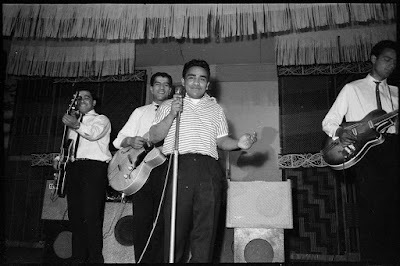 The bass guitarist in the top 2 pics is the late Bill Rawhiti/Rafferty (later with the 1962-3 Quin-Tikis lineup). In the second pic, along with Bill, at far right is Gugi or Nukl Waaka/Walker. The third pic features an early version of the Keil Isles with Olaf (left) and Herma (or Freddy?) Keil on guitars, Klaus Keil on drums, possibly Rudolph Keil on bass and maybe Norman Akers on piano? The pic with the empty stage is probably of the "Bel Air" coffee bar (Queen St, opp. Town Hall), where Gene & The Dynamites had a residency.